Oatmeal Bath: Get All The Benefits of an Oatmeal Bath Without The Mess! There has been a lot said about the oatmeal bath on the internet lately, and I couldn’t resist adding my two cents. This past week, both my children had the chicken pox. For the most part, they had a really great sense of humor about it. We drank some lemon balm tea to help their bodies fight the virus. We spent a lot of time resting and binge watching Phineas and Ferb. Inevitably, both of them had one bad night. In the case of chicken pox, one bad night equates to itching that is so irritating that sleep is impossible for both you and your child! Both my kids are old enough to understand that they couldn’t scratch. The oatmeal bath saved our sanity! What is an Oatmeal Bath? Oatmeal is an age-old home remedy for itchy, dry, or inflamed skin. It’s one that has been used for so long, and has been so successful, that we’ve become curious about the science. Soaking in your herbs is almost as good as drinking your herbs. So, soaking in a bath of oatmeal will calm and soothe the nerves. Beyond the internal, there is an external benefit as well. Scientists believe that the avenanthramides and phenols found within the oat plant are responsible for its soothing abilities with such things as poison ivy, poison oak, and chicken pox rashes. These two chemicals are anti-inflammatory. I definitely saw a difference in the redness around my children’s rashes before and after an oatmeal bath. Much is made in other articles about colloidal or ground oatmeal. In my experience, if you plan on dumping the oatmeal directly into the bathwater this is important. However, I don’t recommend doing that. My reality last week was exhaustion. We had been up most of the night already and the last thing I wanted to do was clean oatmeal bits out of the tub after pulling the plug. More than that, even if you get the oatmeal fine you’ll still have grit in the water. A child with an itchy or painful rash on their behind and back isn’t going to be comfortable lying on grit. Get an old sock out of your drawer. It should be a tall sock, not a footie. Stuff it full of about ½ cup of oats. Use the Quaker Old Fashioned Oatmeal™ style of oats, not instant or the Irish oatmeal groats, just the traditional stuff. Tie a knot in the top of the sock. While filling the tub, keep the sock under the water. Get it soaked and squeeze it often. Within a minute or so it will begin to feel slick and soapy. Your water will get milky and cloudy. After the bath is full, give the sock to your child. Allow your child to soak it and wring it out over his/her body wherever feeling itchy. Hang your sock up to dry, because you may need it again in a few hours! You can do an oatmeal bath multiple times each day, but if you find yourself needing more than three it’s probably time to see a doctor. We only needed one or two baths for each child throughout the entire illness. 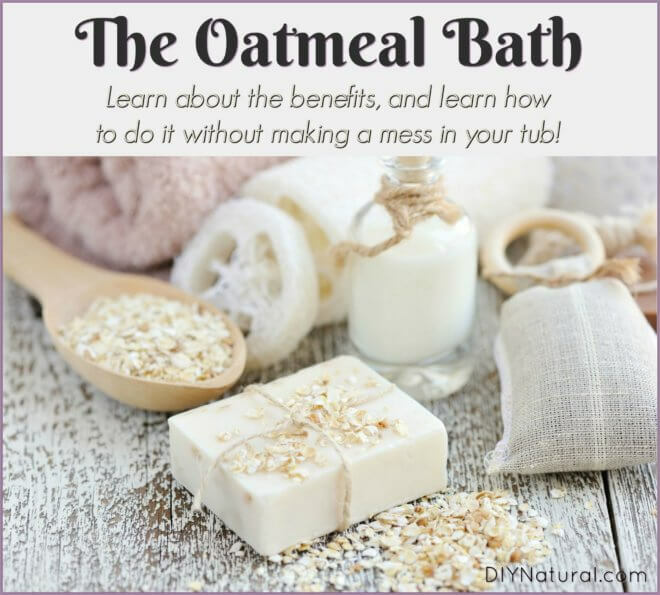 Do you use an oatmeal bath in your house? 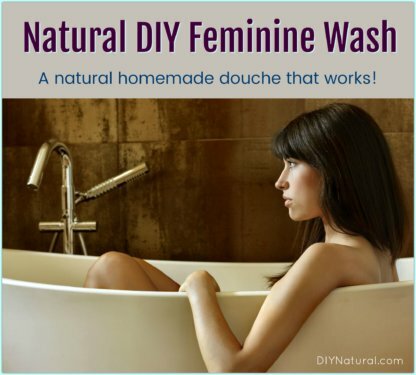 Other great uses for them include diaper rash, eczema, psoriasis, simple dry skin, and body beautification. Kind of off topic but….. How did your kids get chicken pox?! Did you expose them intentionally? I want my kids to get it naturally but nobody catches it anymore. Our first born got it through intentional exposure but my younger twins never caught it from her. ???? Can Oatmeal be used without being in the tub? My parents don’t have a tub – shower stall only. So can oatmel be used as a paste to help with the rash?